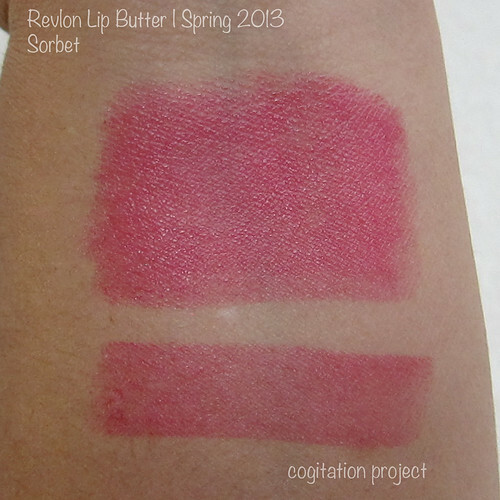 I have posted pictures of swatches in the previous post for reference. I decide to split up the post to make the amount of pictures manageable in each post. Today I bring to you Sorbet and Wild Watermelon. 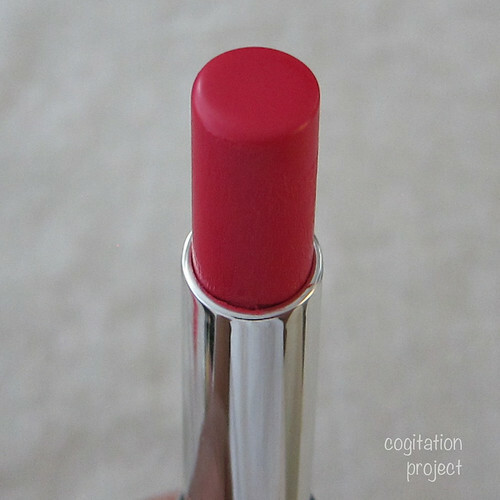 Sorbet is one of the darker shades in the collection (the other being Wild Watermelon). I would describe this as a bright fuchsia. What makes this different from other bright fuchsias is that it’s not opaque but that’s not to say that it’s not build able. You can make the color pop by layering but I find that it will not reach full opacity like you can with a lipstick formula. 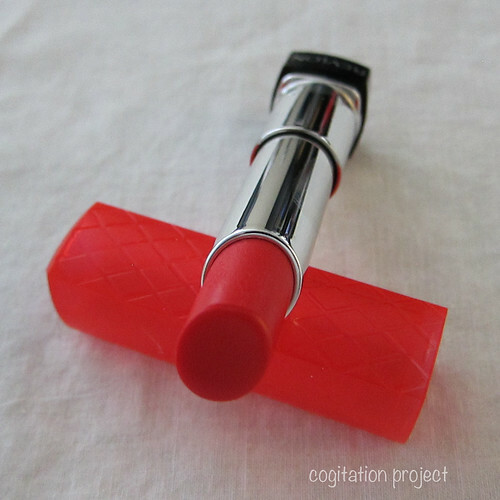 I find the formula lightweight, mildly hydrating and easy to wear. 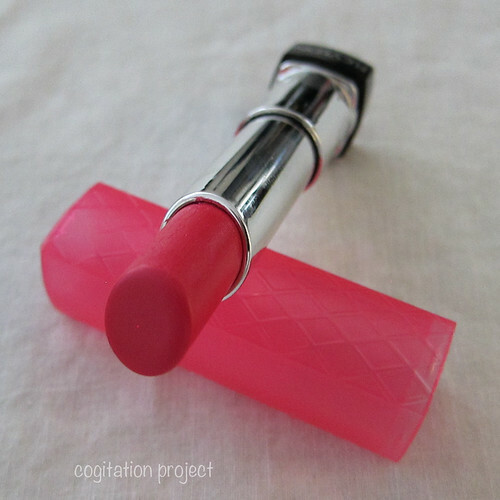 It leaves a very light stain on my lips after the product is gone from my lips. 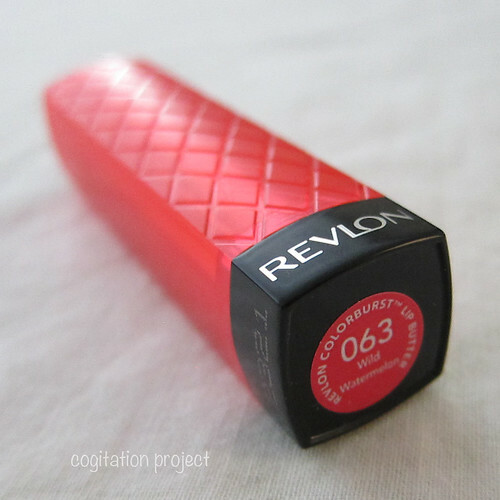 Ladies who shy away from dark/bold colors should give this a try. 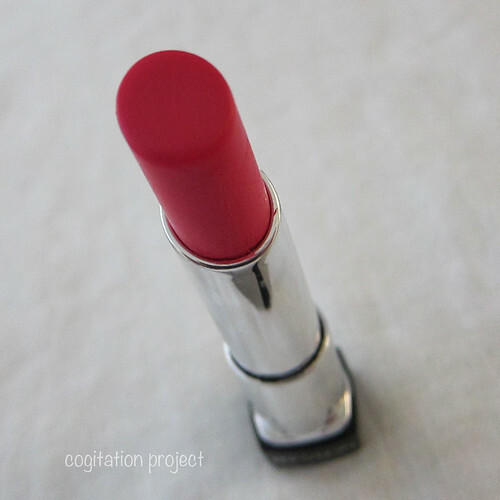 It provides that pop of color without the heaviness of a lipstick. What makes the lip butters from this collection different is that they’re all devoid of glitter/shimmer. That’s not to say that they are matte. Being that they are hydrating/balm-y they do have that sheen. It is now available in drugstores here in Los Angeles. They should be available in drugstores everywhere. I bought mine at CVS for $8.29 plus tax. 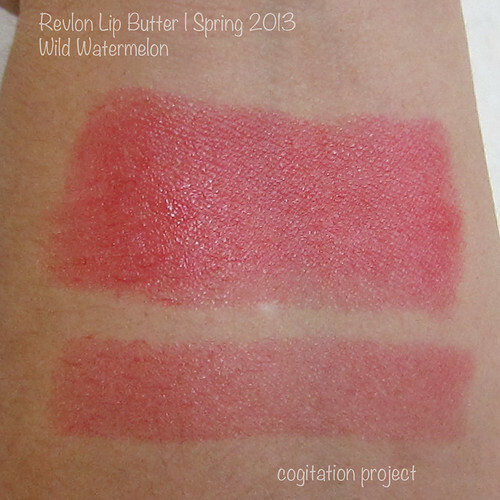 Wild Watermelon is the darkest in color among the four lip buters in Revlon’s Pacific Coast Collection for Spring 2013. It is red, the darkest sheer red I’ve seen. 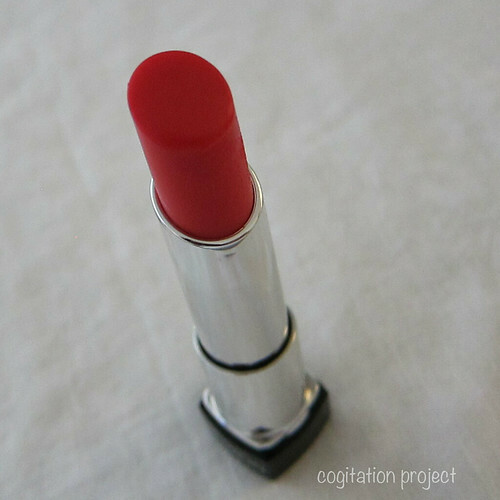 But don’t quote me on that as I’m no expert on red lips. 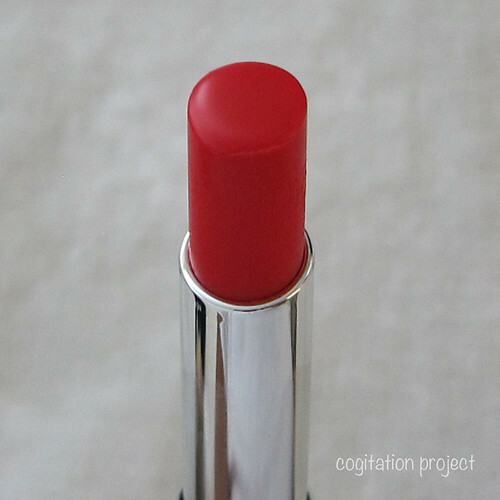 But if you’re looking for a red shade, moisturizing, slightly long wearing than a gloss, lightweight, with a slight sheen without any shine, shimmer or glitter then look no further. Consider Wild Watermelon. 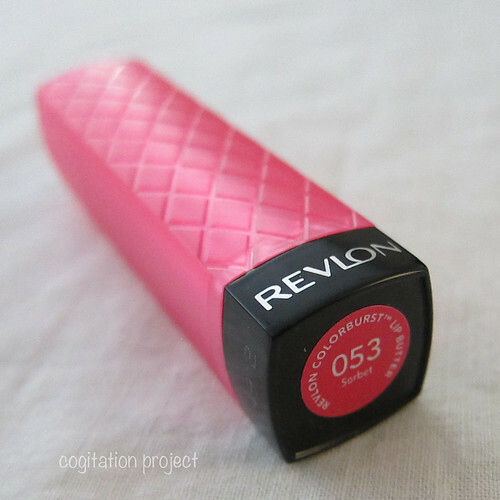 For swatches and pictures of all four lip butters from Revlon’s Pacific Coast Collection for Spring 2013, click HERE.